You can see that I have given four image of books that are related to FE/EIT Mechanical Exam but there is a strange thing. I did not give you the greatest books ever on Fundamentals of Engineering Mechanical Exam. Those two books are ‘FE Mechanical Review Manual’ and ‘FE Mechanical Practice Problems’ written by Michael R. Lindeburg, PE. There is certainly a reason!!! You know NCEES are continuosly updating their Fundamentals of Engineering exam resources, FE exam types and FE Exam mother book ‘FE Reference Handbook’. From July 2018, NCEES following the updated version of NCEES FE Reference Handbook V9.5 and this makes many books obsolete. Certainly the books that is published on 2014(my goodness 5 long years ago!!! ), is there any reason to follow that? 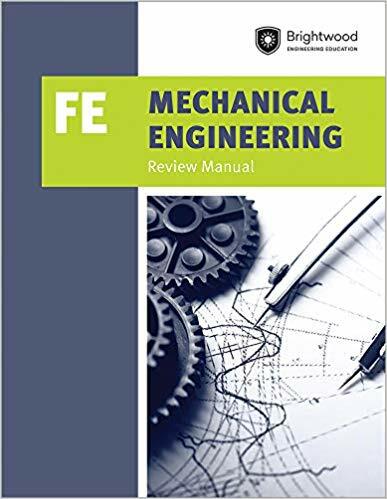 That’s the story behind not suggesting to buy FE Mechanical Review Manual and FE Mechanical Practice Problems written by Michael R. Lindeburg,PE in 2019 until the new version is in the market. This is the firt and foremost book you should have in your shelf if you really want to pass in 2019. Please keep in mind you can the PDF copy of this book from your MyNCEES account for free.There are several locations from where you can also download it,especially from the websites of many universities. But make sure they are not the old versions of NCEES FE Reference Handbook. The suggestion I can give you is to keep a printed copy with you always. You can download the PDF copy from NCEES and print it from your personal computer.Moreover, you can also buy a FE Reference Handbook. You can have the PDF copy of the book but I recommend you to buy a printed copy either by self printing or buying because it is more convenient. Having a printed copy empowers you to read and know more than a computerized copy. 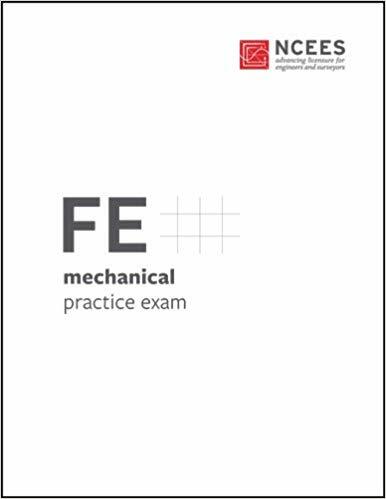 FE Mechanical Engineering Review Manual book has been published in November 1. 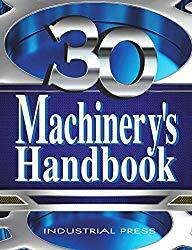 2018 and that’s the reason of putting it in the second position.Many books that is similar to this book is outdated and does not contain the updated information.According to the publisher(Brightwood Engineerig Education) this book is now the best book to study for FE Mechanical Engineering exam. 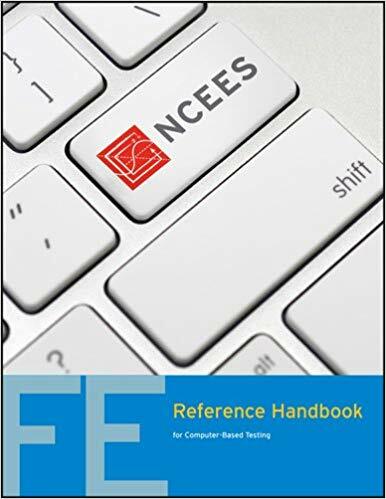 The contents of this book is surely acquainted with the NCEES FE Reference Handbook 9.5(effective from July 1, 2018).Moreover, this book can help you in preparing for the computer based tests as it prepared so.There are some drawbacks of this book too. 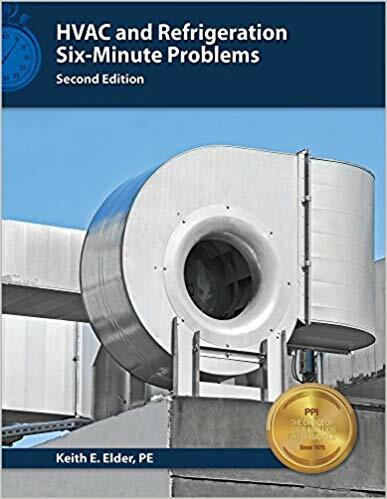 You may find that the questions are sometimes harder than the actual Fundamentals of Engineering Exam.You can also find some typos in some chapters but still this could be ignored for the value you are getting. Mechanical Engineering FE Preparation Sample Questions and Solutions publication date is September 1, 2017. So you can call it as a outdated book. Yes, it is outdated but not as like as the other books in the market. The first thing you would like about the book is its content. 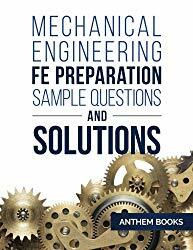 There are 110 sample questions and the questions are identical to the real Fundamentals of Engineering Exam.Moreover these questions covers many topic areas of FE Mechanical exam that gives you an overall idea of the exam. 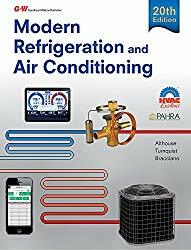 Getting a overall idea is important to pass FE Mechanical Exam on the first attempt.The questions covers all types of morning and afternoon sections.Moreover, if you compare prices of other books in the market, than you will find that,you are a winner having this book in your lap. FE Civil Practice Exam is one of the finest books published by the NCEES. The main benefit of using this book is that it is published by the NCEES and the practice problems are also from NCEES brain’s output. So, if you follow the book, you can practice the real exam life problems. Moreover, new exam question types (i.e. fill in the blank question type and point and click type) are also included in this book. This made the book a real competitor in the FE Civil Exam field.